1. Safety Helmet is a must; wear sunblock lotion; apply petroleum jelly (eg Vaseline) on any part of your body where friction occurs; cover face & arms with face mask & arm-warmers respectively if you want to keep cool & to avoid excessive tan. Going Left, Stopping or Waving??? 2. Use appropriate hand signals when turning or stopping. Raise straight hand to right or left to indicate turning to right or left respectively. Raise right hand right angle at elbow with palm facing forwards to indicate that you are stopping. 3. Do not stop by braking suddenly. You should move to the left road shoulder before stopping. 4. If you want to overtake a cyclist in front, first make sure there are no approaching vehicles nearby. Then, always overtake on the right side & shout “overtaking right” to warn others as you’re about to overtake. 5. Always ride in pairs or in a group but in a single file. PS – Thanks to wifey for being my model for today. 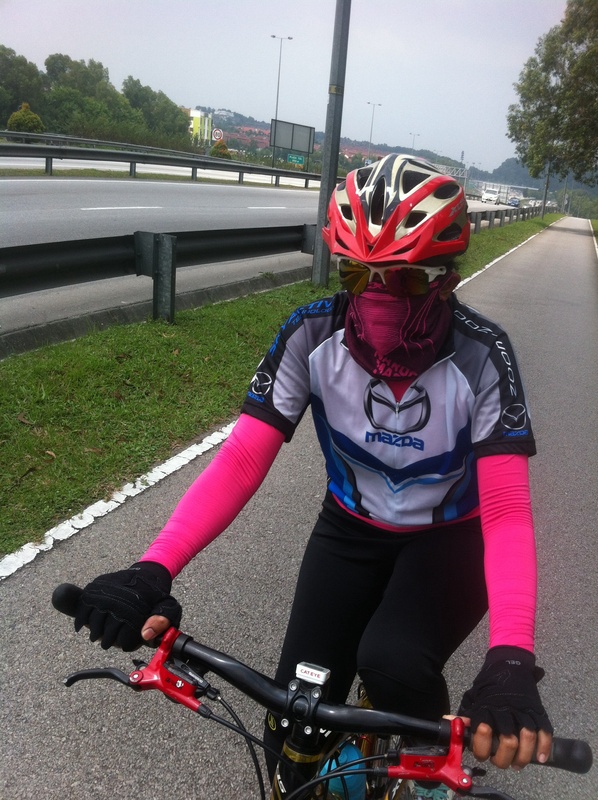 This entry was posted in Cycling, Malaysia, Safety, Selangor and tagged cycling, Cycling Couple, Guthrie Corridor Highway, Maryati, Safety Tips. Bookmark the permalink.